Known as ‘the world's worst firearms instructor' for a reason. Vetting your information is very important. So you have your firearm, and realize the importance of training and learning new skills and techniques. 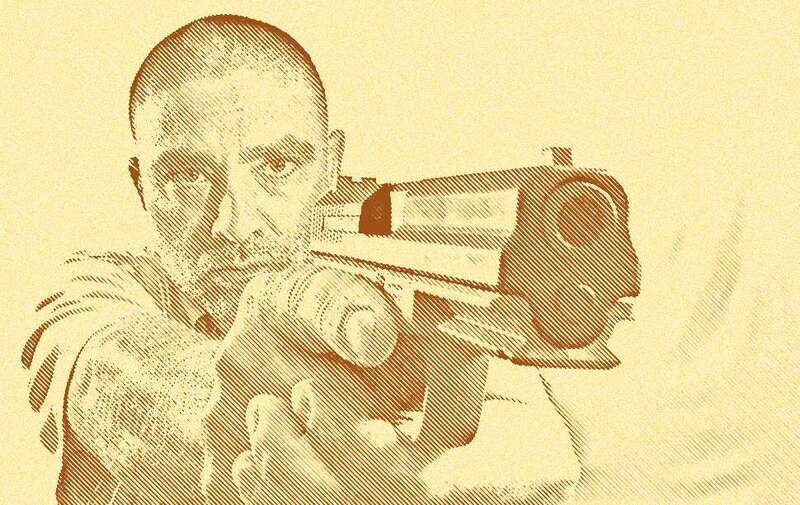 You find a few drills you want to work on, maybe it's drawing from your holster, presenting the gun from a high-compressed ready, shooting while moving, or performing an immediate action drill to clear a malfunction and get your gun back in the fight. Regardless of the drill or technique, there are some things you should do in order to properly learn a new technique. What Considerations are Important When Learning a new Skill? The source of the information should be considered first. There are plenty of ‘firearms instructors' claiming they are the best, and happy to post videos of them performing drills. I know it's shocking, but not all of them know what the heck they are doing. Programming a bad skill or technique into your muscle memory bank, can not only be dangerous but sometimes very difficult to ‘un-train.' Yeah, I will mention him, the ‘worst firearms instructor' from Voda Consulting is the perfect example of an absolutely terrible source of knowledge (pictured above). Yes this is a no brainer. Whenever we are training safety must be a part of it. Learning a new skill increases the opportunity for mishap. The very fact that it is something that we have never done before or a technique we have not yet mastered, means we are more prone to screw it up. The venue also plays into the safety of learning a new skill. Later in the article, I'll explain ways to mitigate these risks. This is extremely important. When learning a new skill, it is important to learn it the right way. You may have vetted the information and gathered it from a great source, taken the proper steps to ensure you are being safe, and then … not perform the techniques properly. Knowingly or unknowingly, repeatedly practicing bad technique is just ingraining bad info and movement into your brain. I am not talking about going out and buying a whole bunch of high-speed, super expensive tac gear. The importance of gear comes into play when you attempt to learn a technique, but don't have the appropriate gear to safely or properly perform the drills. However, this is not always a bad thing. A perfect example I see often is not having an appropriate holster or belt. A gun owner may be able to get away with walking around with a garbage holster and belt combo. When this same person tries to learn how to draw their firearm, they soon start seeing how their gear is inadequate. I have seen guns drawn with holsters still attached, belts that break or come unfastened during the drawing process, guns get snagged up on the holster or pants because of improper adjustment or sizing. 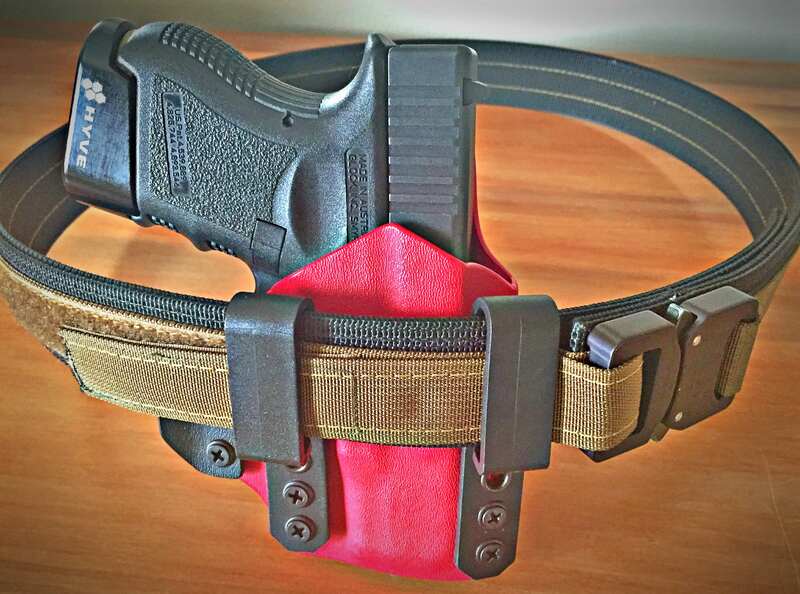 Good, serviceable gear like this nylon gun belt and IWB holster are essential. Another point when it comes to gear, that I have to make is that the gear you use has to be realistic and appropriate. What I mean, is that if you are practicing close quarters shooting skills as a concealed carrier, don't start practicing your drills using a competition style, high-speed drop holster. Unless of course, this is what you use on a daily basis when you walk around your neighborhood streets or while at work. Also, if you don't wear a shooting vest 24/7, don't practice while wearing one. Wear the clothing and gear you live your everyday life in. And when gathering the right gear, don't forget your camera, tripod or another person with a camera; more on why in a minute. The first thing you need to do is find the right venue, which may be as easy as finding a safe location in your house to dry-fire. Learning a new technique, especially one which involves complex steps is best done, at least initially, without ammunition. A technique like drawing from a holster, or practicing reloads are perfect examples of skills best learned through dry-fire. 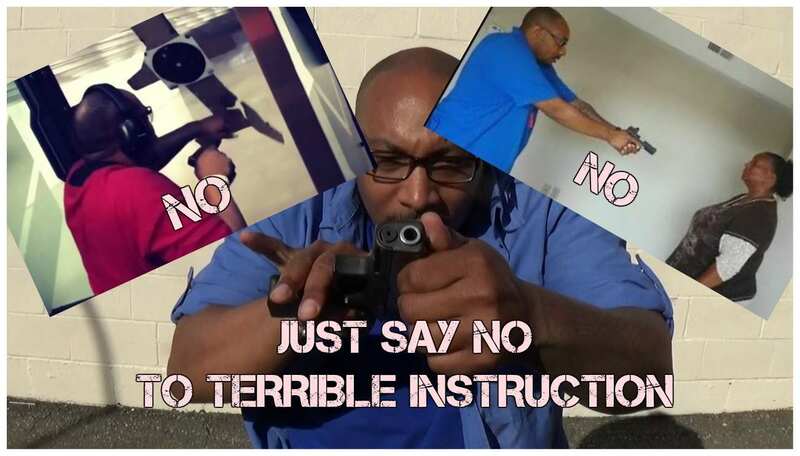 Imagine trying to learn how to draw your firearm with your weak hand, and perform a reload for the first time with a loaded firearm. Not a great idea. Some of you are saying ‘dry-fire will destroy my gun.' With rare exception, dry-fire is absolutely 100% safe for your modern firearm. Check your owners manual, or use snap caps (dummy rounds) if you are stll worried. The benefits that come from dry-firing, not only in learning a new technique but continuing your skills, far outweigh any potential damage to your firearm. The second thing you need, is to break down the technique into a series of steps that you can master individually. For example, if you are learning how to perform a magazine reload, your first step would be to bring the firearm toward your body, keeping it in your line of sight between you and the target. You would practice this step until you got it down. The next step would be to include depressing the magazine release as you bring the gun back toward your body. You would now practice this movement. So on and so on. Breaking a new technique down into steps like this will help. Step one of a magazine change, bringing the firearm into your field of view while keeping your eyes on the threat. When you do this, you ensure that you are not inadvertently building a bad habit or missing an important step in the movement. Once you have all the individual steps down, slowly run the drill by the numbers. This is a great time to have someone call out the numbers of the steps and watch you, or for you to call them out and film yourself. It may seem pointless and simple, but this is probably the most important part of the process and helps you get it right the first time. If someone is watching you, ensure they understand how the technique should look and are giving you constructive criticism. If you are watching yourself on video, ensure that you are performing the correct technique in each step. If not, practice that step alone until you get it right. You'll gradually want to add speed to your process. Instead of pausing in between steps, run it at a constant rhythm. Eventually, when you can run the technique flawlessly, run it at half speed without going by the numbers. You may find yourself still moving somewhat like a robot, as you were when going step by step, that is okay and will disappear with confidence and practice. Constantly reassess your progress along the way, and when appropriate, move to full speed. The most important thing you have to understand about speed is that it will come through proper technique, not through rushing the steps. The last step here, is to prepare to live-fire your new technique. I recommend when first running a technique with live ammo, you run it half-speed. Don't rush it, you will have years and years to run these drills and run them as fast as you can. But for your first few times, just ensure you have everything flowing smoothly. I highly recommend video recording yourself and watching it back. You will be surprised how much you can learn by watching yourself and improve your skills once you know what you need work on. Learning a new technique can be fun, challenging and extremely rewarding. Of course, an organized class or personal instruction from a competent instructor is going to help you refine and learn new techniques. A good instructor will analyze your technique and help you get to where you need to be. But whether you can't get to a class, or you have taken one and are now going out on your own to continue your training, use your best judgment on how you apply this process. Some techniques and drills have more inherent danger than others. These are times the step by step or ‘crawl, walk, run' technique is critical. Other techniques which involve merely expanding on a core movement may not require as much dry-fire and step by step practice. If you're unsure, there is no harm in dry firing the drill or movement to make sure you have it down right. You are all grown men and women, and responsible gun owners, use your best judgment based on your level of proficiency. Seeking professional instruction is always a great rout to go when looking to expand your skill set. By the way, since you are going to be training a lot more now, ammo cost may be something to consider. Ever wonder if those great prices on re-manufactured ammunition is worth it? You can read up and learn all about the difference between factory re-manufactured, factory new and reloaded ammunition. Matt, What gun is that you are holding in the bottom picture? I don’t recall that slide shape. Looks like big one but that could be just an illusion. Hey Doug, are you talking about my ultra cool glamour shot for when I become a movie star? lol 🙂 It’s an FMK 9C1. I did a write up on it a while back. It’s comparable to the G19 in size and function. Good morning Staff Sergeant, 0341 here. Range time is limited with 55 hours working per week, a 6 year old, and a Puerto Rican wife that would scare most drill instructors. Is there a dry fire system for practice that you like to use? Semper Fi Brother! I feel your pain with lack of range time!There are a few options depending on how you’re going to dry fire. If you have a Glock and just want an easy way to dry fire without re-racking constantly, there is the Glock Easy Trainer ‘E-Trainer’ that is inexpensive and helps. If you want to spend some more money, you can get a SIRT laser training pistol which is pretty great. You can set up targets and it gives you feedback. This would be good for you and your wife to train (and have some competitions too). There is also the cool fire trainer that uses CO2 and a laser. This gives you some simulated recoil, kinda like the ol ISMT. If you have any other questions at all let me know ([email protected]). Take care and God bless!! !